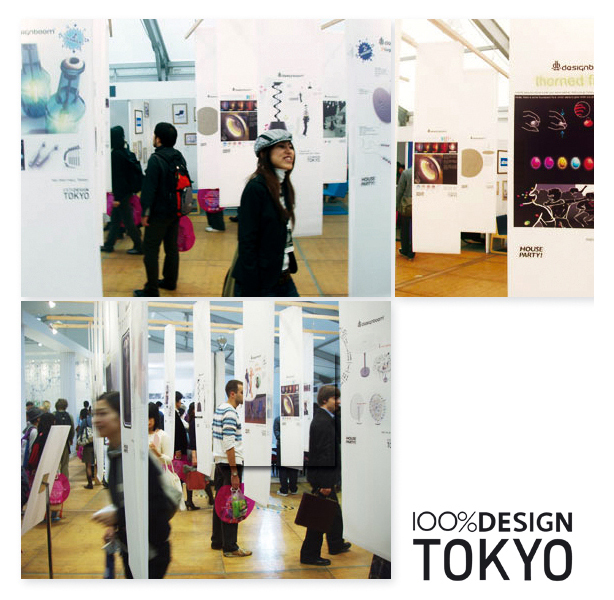 This project was a nominated entry to the Designboom competition and exhibition for 100% Design Tokyo in 2006. The subject of the competition was “House Party”. This project is based on the fact that one of the necessary need for a good party at home is to respect as much as possible the neighbourhood. 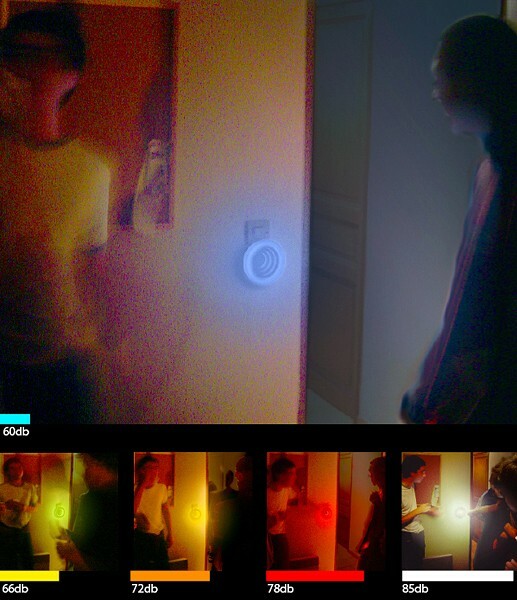 Noise is the biggest problem, and turn louder during the party because of adaptation phenomenon. 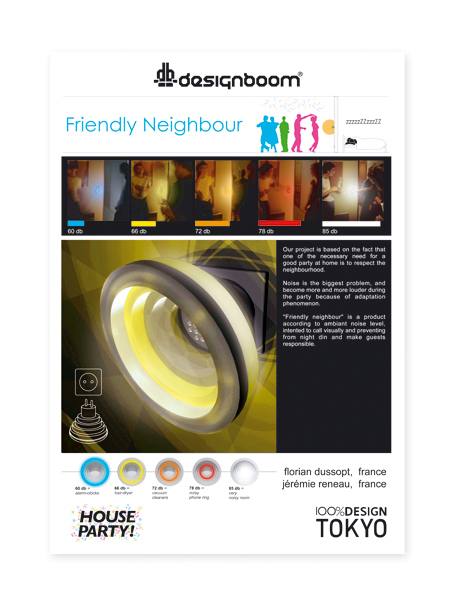 Friendly neighbour is a product signalling visually the ambient noise level, intending to make the guests responsible. 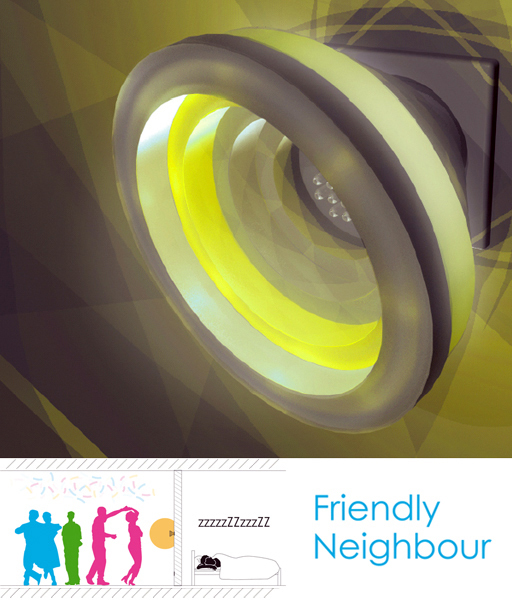 Build on the wave symbolic, “Friendly neighbour” is simply plugged directly in the electric sockets. The first levels of coloured LED show the noise level of background music and party discussions. 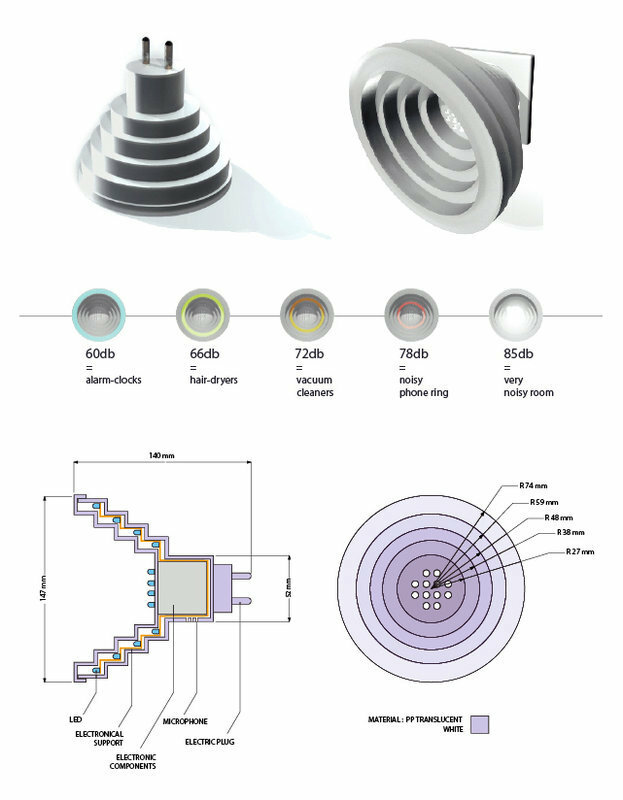 If the critical level is reached, strong and white light catch the attention.